HR management: attendance, access control, holidays, leave, business trips, etc. Solution "6. Intranet" offers an advanced system of attendance management: by connecting to any common access control system, it is able to comprehensively calculate and present all information about attendance and absentees. Moreover, should the access system in use in your company not be among the ones supported by solution "6. 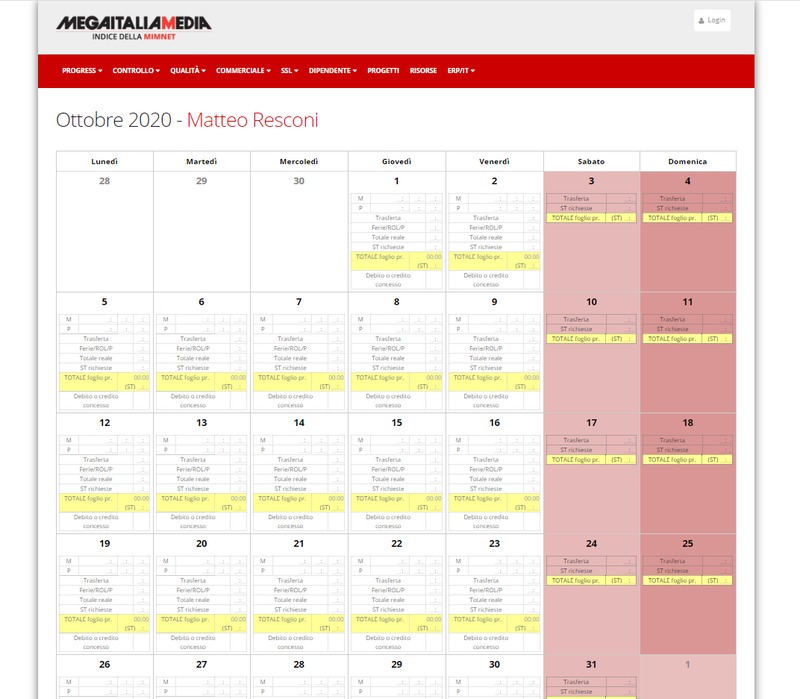 Intranet", it is possible to implement a communication system (Mega Italia Media will set this up for you). By merging access control data with holiday/leave requests, assignments and special leave (all coordinated by the "Attendance management" of solution "6. Intranet") the system is able to provide an accurate monthly summary of your workforce's attendance history. Display attendance: employees can check their own attendance history (based on the access control system) and keep track, day by day, of their planned and already used holidays, special leave, business trips, overtime etc. Each employee can only view his/her own attendance, holiday, overtime and business trips records. However, module administrators can access data for all employees and also download a Microsoft Excel file with a full summary of every employee's monthly attendance.